uAs I have said earlier, we wanted to have the Nasi Lemak again. But when we got down from the hill, the Nasi Lemak finished. Hence we proceed with Papa's back up plan. 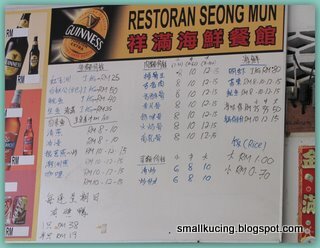 That is to have dinner at Restaurant Seong Mun, No. 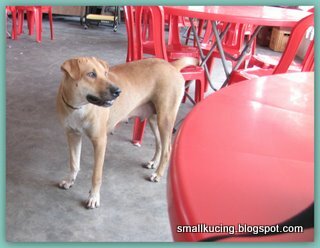 204, Kampung Baru, 44000 Kuala Kubu Bharu, Selangor. It's located along the main road. Papa read that the restaurant have very nice frog leg dish. After they "jalan" so much, they really have to "replenish" their legs energy. Saw something under the table. One doggy. Looks clean and friendly enough. Not begging for food type. Enjoying cup of tea while waiting for the food to be served. 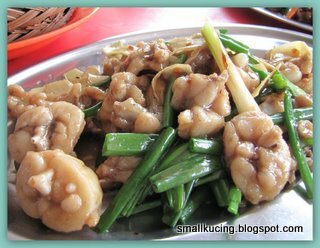 Jeng~jeng~jeng~The frog leg dish. Wow! very big portion. The frog meat taste just like chicken. If you see properly it looked a lot like chicken drumstick too. Very yummy. If not mistaken this dish cost RM25. Not bad la. Next come that Pai-Kut. Taste not bad. Quite good. 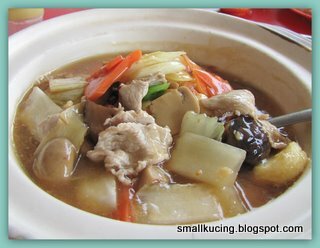 We totally love this Claypot Taufu dish. 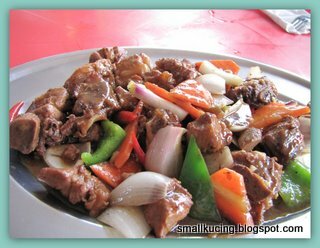 Very tasty and a lot of "liu". After makan, Papa wanted to go exploring. We went to the town. Then Papa spotted this van parked opposite Argo Bank. It's selling Yuk Kon Roti. Apa lagi. Mulut gatal lor. Mamarazzi went down and bought 3 roti. The man was very friendly and a good sales person. 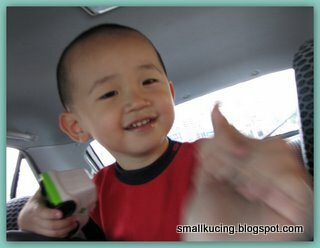 Managed to convince Mamarazzi to buy half kati of Yuk Kon from him. Wow..they come all the way from Ampang to sell this. The man even mentioned that he also go to "Man lau" to sell. Mamarazzi don't know where is "Man Lau" Anyone knows? It's in Cantonese. See...the roti look so yummy. Papa loves the soft bun. Oh what a day. Makan all the way. Next round u wanna makan cucur jagung anot? 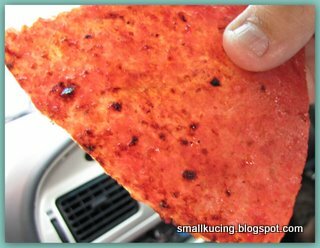 If want, must remind auntie ahhh... kekekeke... get some nice jagung and make some for u.
Wahhh I also want the yuk kon! It's my favourite! 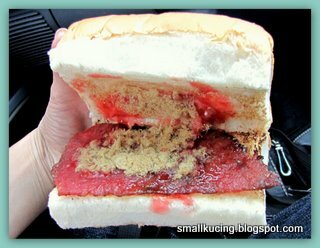 Bread with yuk kon and chicken floss.. YUMMY! The yuk kon looks sedap. Oh ya not black at all geh..hehe..so healthy. Man Lau like heard before but don't know where must ask my dad..haha. 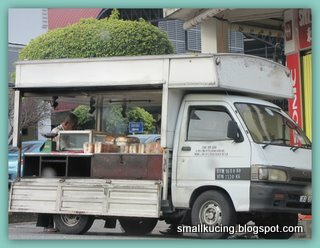 Btw Man Lau is Rawang. 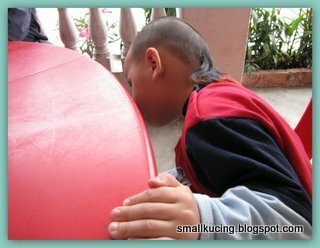 @Cikgu... i tink it's bak kua. LOL! Wow....I love to eat frog meat! Wah...you all really big stomach...after wallop one complete meal, still can eat some more. Tabik! Mamarazzi also heard before Man Lau but dont know where..
Hehe biasa la... go jalan2 of course must makan2 as well :) Very nice day trip. Makes me wanna go too. 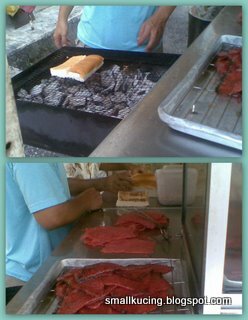 The last time I went to Fraser's Hill was like 20+ years ago..
See! Confirmed Mamarazzi become a nyanyuk dinosaur already. The name of the place also can get it wrong punya..ish ish ish..thank you very much for correcting it.